As I'm now sunning myself in Florida (and getting overly excited in Disney World) I've asked some of my favourite bloggers to prepare guest posts for me. Starting with Emily from Very Emily, a blogger who I've admired for many years and am now lucky enough to call a friend. You probably recognise Emily's distinctive nails and photography style, and I'm honoured to have her guesting on my blog today! Hello everyone! 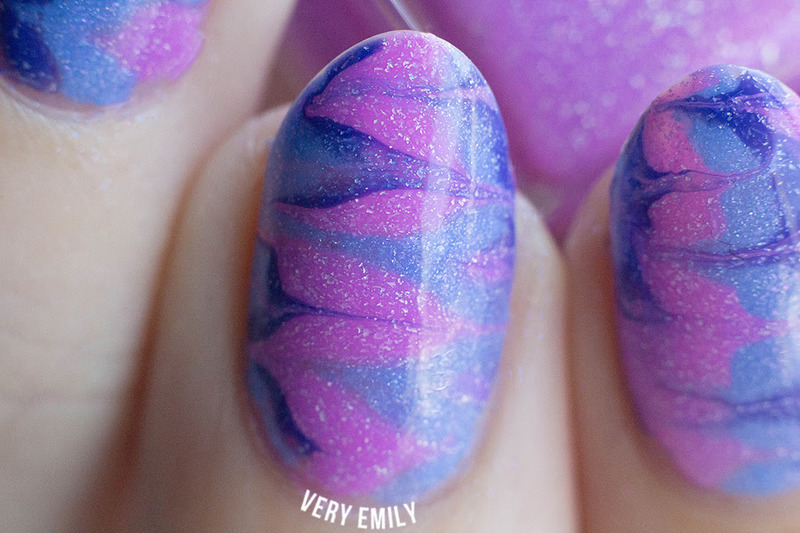 I'm Emily from the blog Very Emily and I am so ridiculously honoured to be here on Brit Nails today. I'm a huge fan of Allies so when she asked me to guest post for her I immediately said yes! Let's have a look at what I came up with! For my guest post I did some needle drag nails, also known as dry marble. I'm no Sveta Sanders but I did really love how these turned out. I did have to redo a few nails a couple of times until I was pleased with the outcome. It's all about using just the right amount of polish without flooding your nails too much but still allowing for some dry marbling. 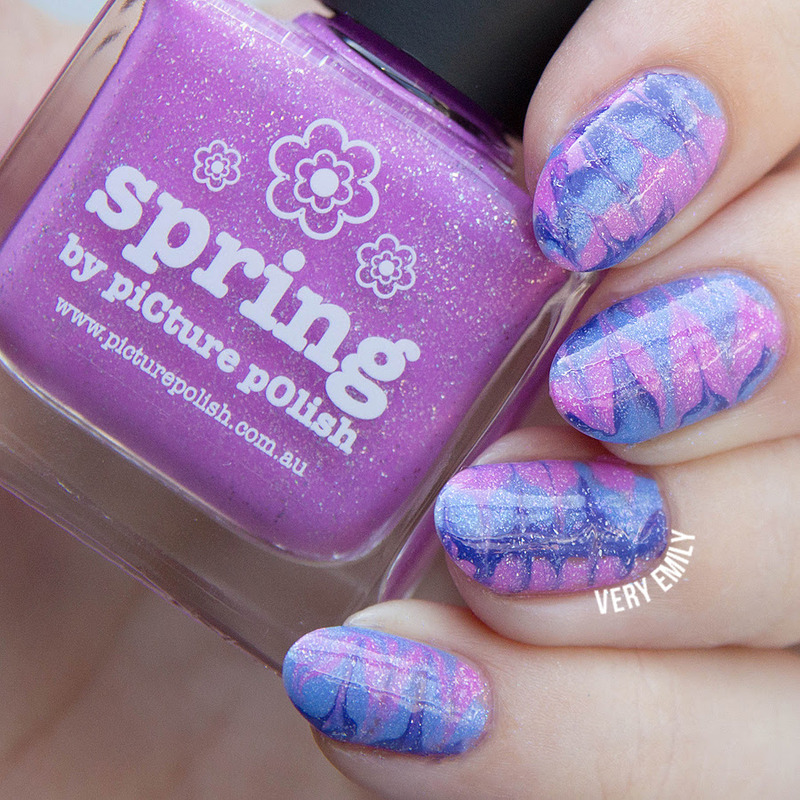 I used some new piCture pOlish shades for this mani, piCture pOlish Spring, piCture pOlish Gala and piCture pOlish Bluebird. Finished with glossy top coat. I really hope you like these! A huge thank you to Allie for having me, I hope you enjoy your break! These turned out amazing! I'm super jealous. Really love your design / mani! Very nice polishes and they go wonderfully together. Just.. WOW! Totally gorgeous Emily! Pfft, Sveta who? Haha just kidding, but seriously your skills are incredible Emily! Hope you're having a great time Allie!